Located less than 5 minutes from downtown Floyd, VA! 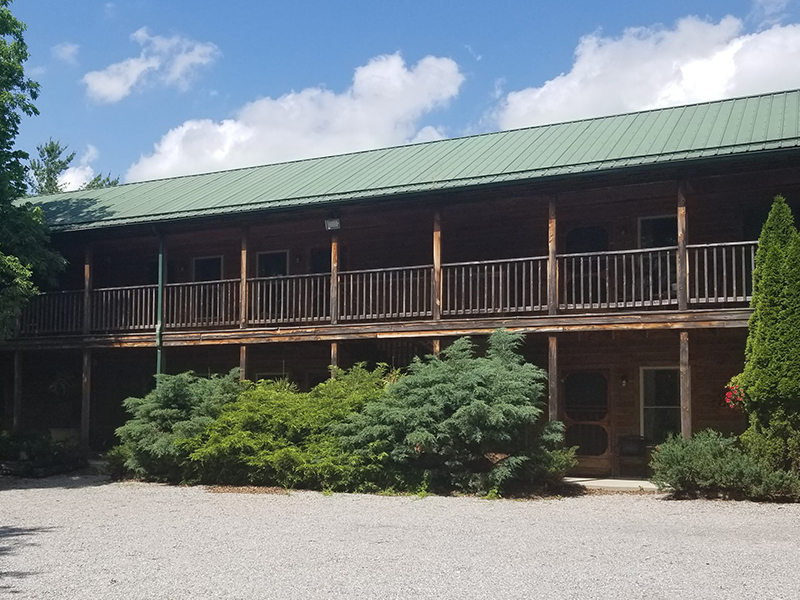 With the building and opening of our new lodge in 2003, we have prided ourselves in keeping with the rustic yet comfortable feel that is Floyd. The hemlock siding and trim was milled on our property here in the county. Floyd has many wonderful things to attract folks and we hope we have simply added another. Wide porches for sitting and relaxing, up stairs deck gives the feel of being in a tree house. Oak Haven is a family environment. 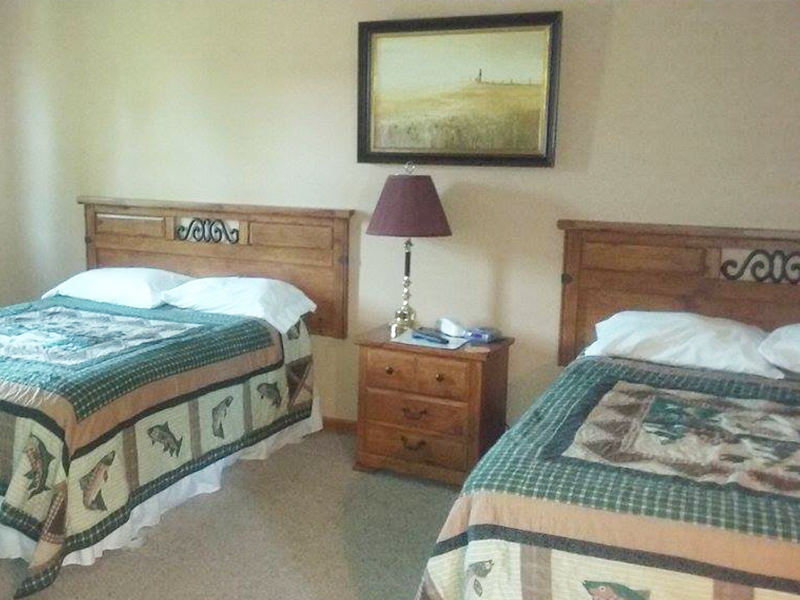 We have rooms & suites available that provide overnight accommodations to suit everyone’s needs. 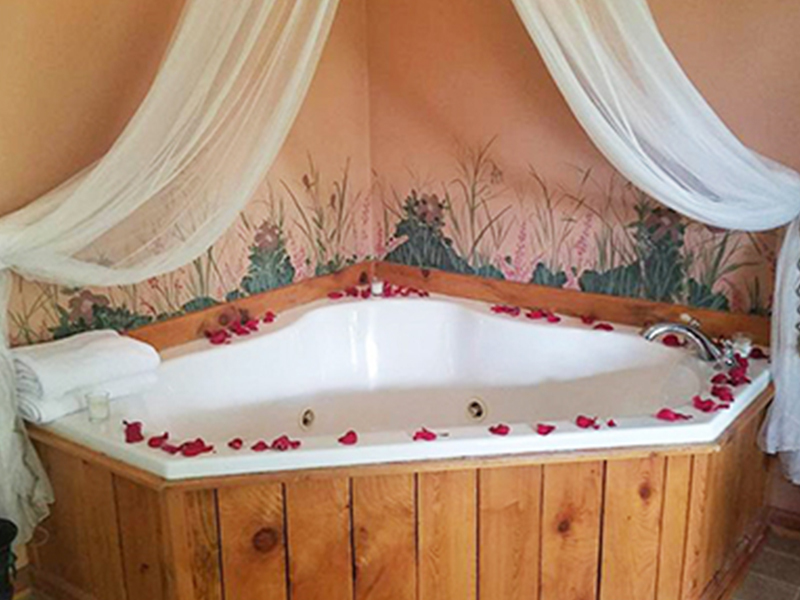 We have four king rooms – three with a two person whirlpool tub. Six double rooms, one of which is ADA compliant. All rooms have a refrigerator, microwave, coffee maker, cable TV, individual heating/AC units, WiFi and home-style furnishings. Our Lower Level rooms also include two full suites with kitchen, living room, bedroom, and bath. Extended stay rates also available (seven days or longer). All rooms are non-smoking for the comfort of others. See more about our rooms & suites, and make a reservation online by clicking here. **We also offer “INN”dulgences to make your stay even more special! 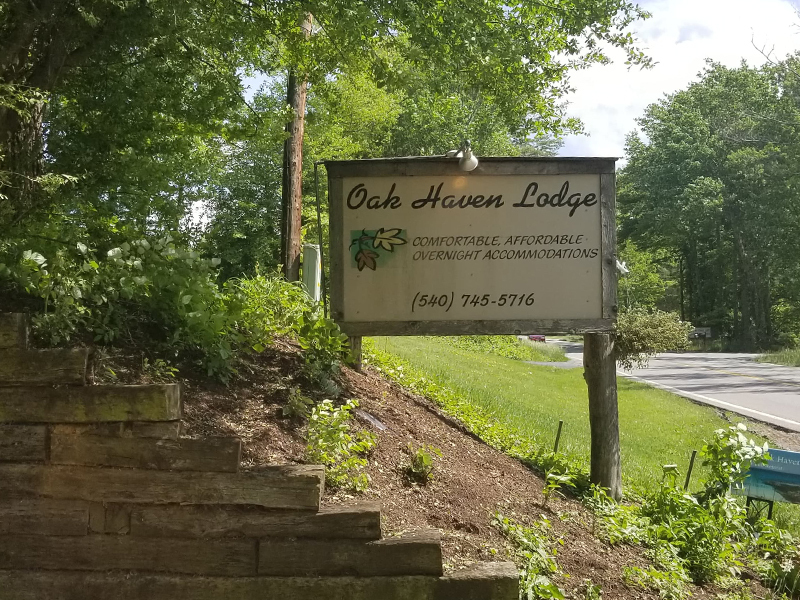 There’s even more to Oak Haven for your enjoyment! 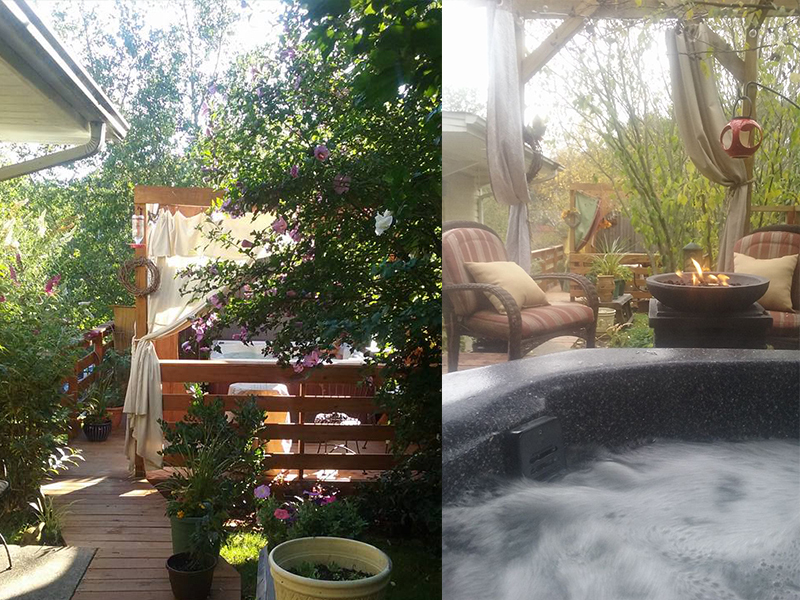 We have a hot tub on-site in our private Oasis Hot Tub Retreat – nestled in a peaceful lush green garden, and available to guests and non-guests. 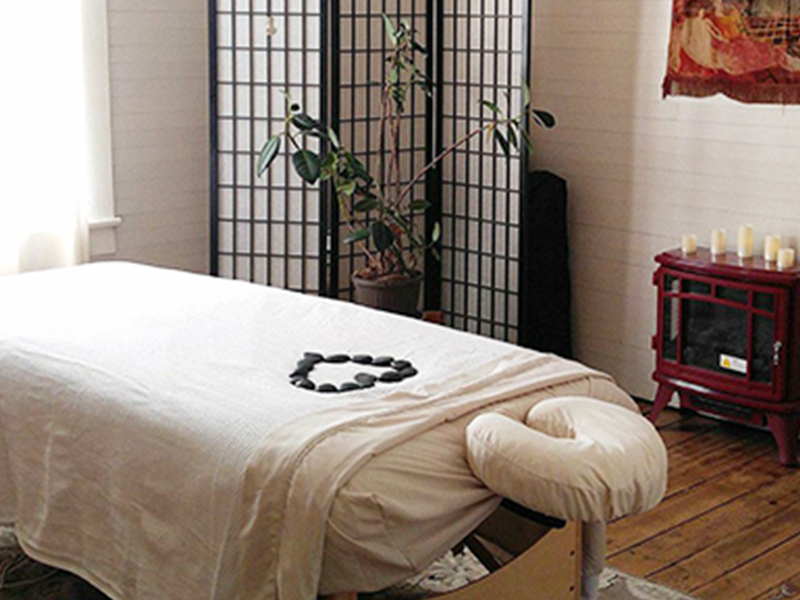 Our on-site calming massage space, and certified massage therapist (available upon request) are here to provide you with the relaxation and rejuvenation you deserve! 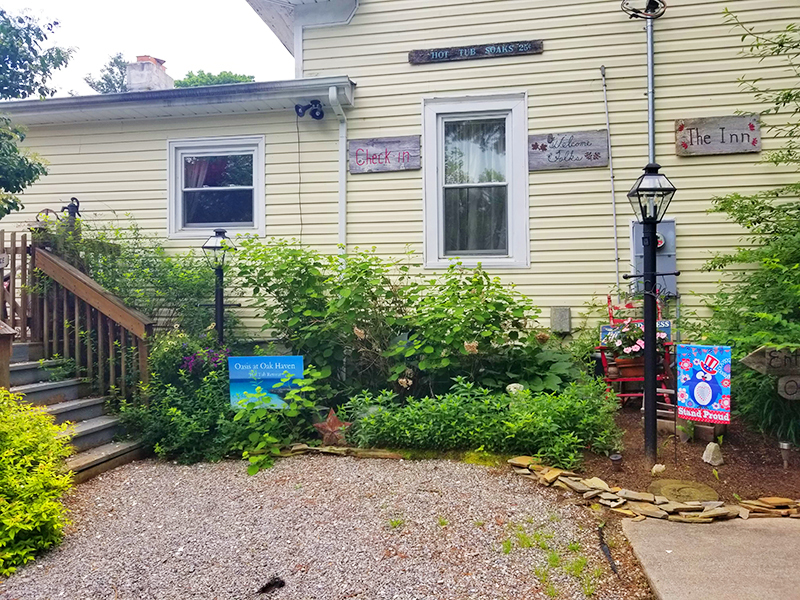 Call or come by for a tour, we know you will be pleasantly surprised at the comfortable, affordable overnight accommodations we have provided for you.